Gin Tasting Notes: Hendrick’s Gin. It’s gin sampling day again, and I have finally acquired the top shelf gin, Hendrick’s, from Scotland (and now reason #479 to visit Scotland). This is the magnum opus of gins. With eleven botanicals, including an infusion of Bulgarian rose petals, it puts the army of gins I’ve tried to absolute shame. By itself in my glass, it’s a pure epiphany from the first drop, as in a what-have-I-been-drinking-before-this revelation. In a clean 4:1 martini, it’s genius; in a dirty martini, it’s brilliant. 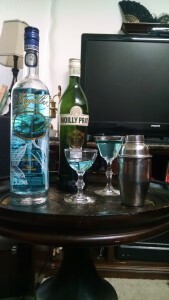 Usually strong personality gins make terrible martinis, but this is a remarkable exception. It’s Tchaikovksy’s 1st symphony. 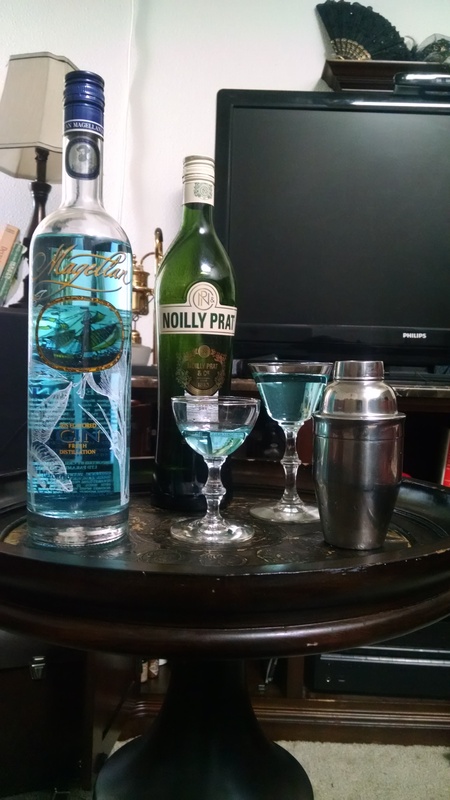 As usual, the bottle of Noilly Pratt is there to remind any martini enthusiasts that if they’re still mixing martinis with Martini & Rossi vermouth, pour that crap down the drain, and get serious. 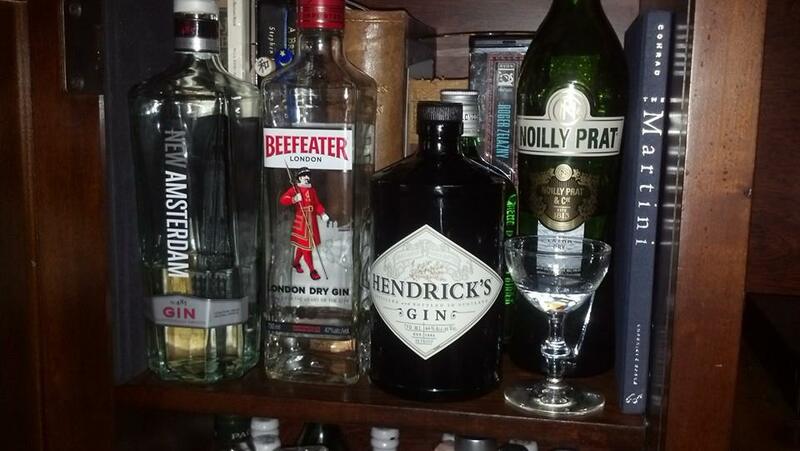 Gin Taste Tests for Martinis. Another gin taste test for martinis. 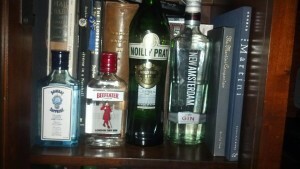 Although Noilly Prat reigns supreme for French vermouth, gin choices aren’t so easy. 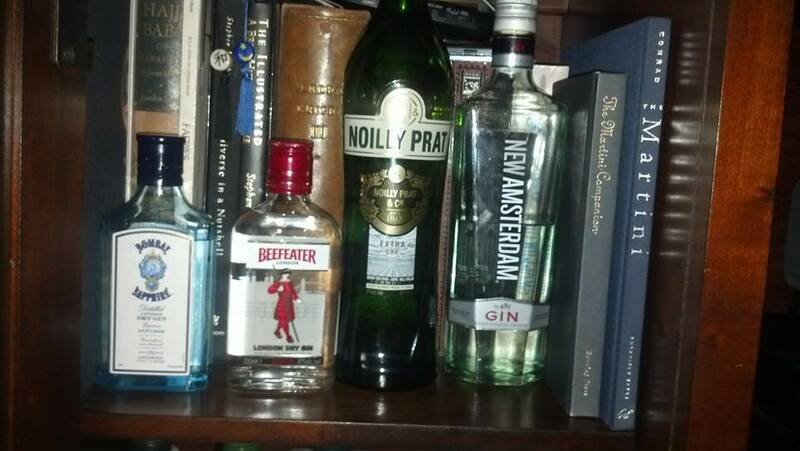 Even though it lacks prestige, New Amsterdam makes a smooth martini, in the style of the newer, “smooth” gins. 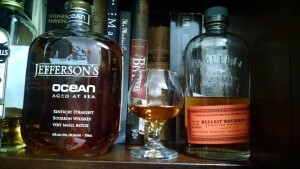 It comes off a little too sweet for my taste, and requires a lower percentage of vermouth. 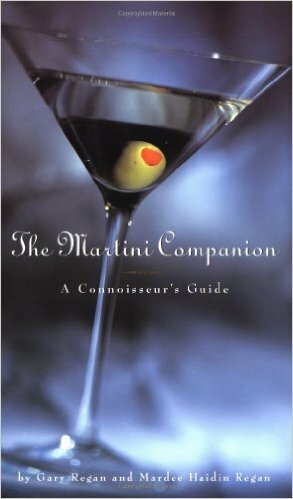 Beefeater competes and comes recommended by the Regans (The Martini Companion), but Bombay Sapphire is completely unsuitable for martinis. Next time I’ll try Gordon’s before moving into top shelf.